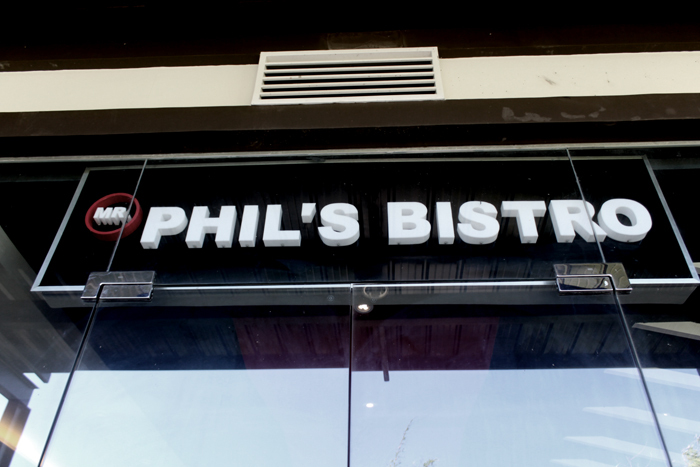 Mr. Phil's Bistro recently invited fellow bloggers and I to try their exquisite dishes for lunch. I am no way of a food blogger—but I do know when the food and place is good. 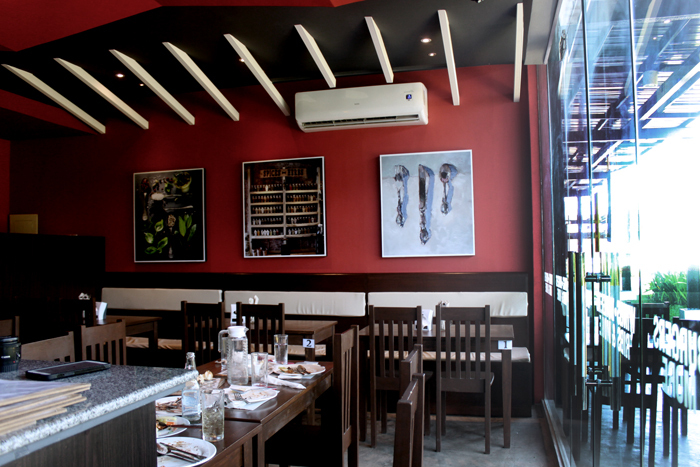 Phil's Bistro is one of the newest restaurant in Atria The Shops. Every time I visit a new restaurant, instead of concentrating too hard on reading the menu, I always end up asking the staff what they would recommend. We're all often more content if we know that our meal will most likely taste delicious, right? As such, we ended up selecting the popular entrees. We were also fortunate enough to personally have the owner, not only come to our table for a chat, but to also surprise us with two dessert dishes that he thought we would love. Their Specialty. 4pcs for Only P99.00! Phil's Chicken Wings served with bleu cheese sauce or duo cheese sauce. They have a variety of chicken wings flavors to choose from. They have Butter Garlic Parmesan Wings, Spicy BBQ Wings, Buffalo Original Wings and Honey Siracha Wings. We we're given plastic gloves for us to eat our chicken wings with pleasure. Served with mashed potato and buttered vegetables. You can also choose rice over mashed potato if you want to. Dunk'd Oreo, my favorite! I wanted to have it all for myself, it's ooh-sooo-good. Not to mention their mouth watering food presentation. You know how I fancy good presentations, right? Plus points Mr. Phil! It was my absolute pleasure to be able to indulge in such a feasting, and interestingly enough, my fellow bloggers and I managed to demolish every ordered dish in a satisfying manner. Additionally, all floor members were extremely courteous. The owner thoroughly explained how each dish was cooked every time they presented the meals to our table. I highly recommend experiencing such a dinner with a few of your friends if you've never visited the place before. It's quite fun being able eat buffalo wings with plastic gloves with your loved ones!